To find out, let's head back to Noble Elementary-Middle School on Detroit’s west side and ask some of the students what they think. Noble, like many other high-poverty schools, has seen several principals come and go in just a few years. Jayden Williams and his friend Darnelle are seventh-graders at Noble. Darnelle has been attending Noble since second grade and Jayden has been here since preschool. They have both seen a lot of things change at the school over the years. Like many schools in high-poverty areas, Noble has had a lot of staff turnover. Jayden and Darnelle have had three different principals: Mr. Ellis, Ms. Broden and Ms. Webb-Harris. And every time a new principal comes in, they bring new rules and new priorities. That gym metaphor is spot on. High poverty, low-performing schools see this kind of turnaround every couple of years. A new principal comes in, puts their own systems in place and the kids have to learn a completely new set of rules and expectations. The gym goes through it, too. That is not stability. And this is not breaking news: kids need stability in order to thrive. They also need a safe place to live. “If your neighborhood is very good, then you’re gonna have a nice school. And for us, we got all these burnt down houses, we got all these thugs, other stuff, people racing up and down the street,” Jayden said. He said all of that stuff makes it hard to learn because there are so many things competing for their attention. The kind of neighborhood Jayden described disproportionately affects poor black and brown kids across the country. "Poverty is not a learning disability"
Education is supposed to be the key to equal opportunity for every kid. In neighborhoods like Littlefield, schools have to be able to overcome generations of poverty and racism to do that...and manage to teach at the same time. It’s a heavy, heavy lift. “We’ve completely overlooked the ways in which poverty affects learning and why it is that so many of the schools serving poor children are struggling,” according to Pedro Noguera, an expert on urban education and a professor at UCLA’s graduate school of education. Noguera has spent a lot of time researching and thinking deeply about the role of poverty in education. And he said if we wanted to change the education outcomes for poor kids in America, we could. “We’re one of the few countries that consistently spends less money to educate poor children than we do to educate affluent children, and that means the teachers are frequently required or expected to take on roles that go beyond traditional teaching. They’re functioning as social workers and counselors and therapists. And this I think contributes to high attrition amongst teachers in these schools, stress among those teachers and school failure," he said. Noguerra said if we continue to ignore poverty, we will continue to leave millions of children behind. The ideal scenario would include things like small class sizes, highly trained teachers, social, emotional and behavioral supports, stable housing and access to high quality early education. But the reality on the ground looks a lot different. “My kindergartners each have 31 students, my first graders have two classrooms and they both have about 32 students, second grade is also very large with 31 kids. 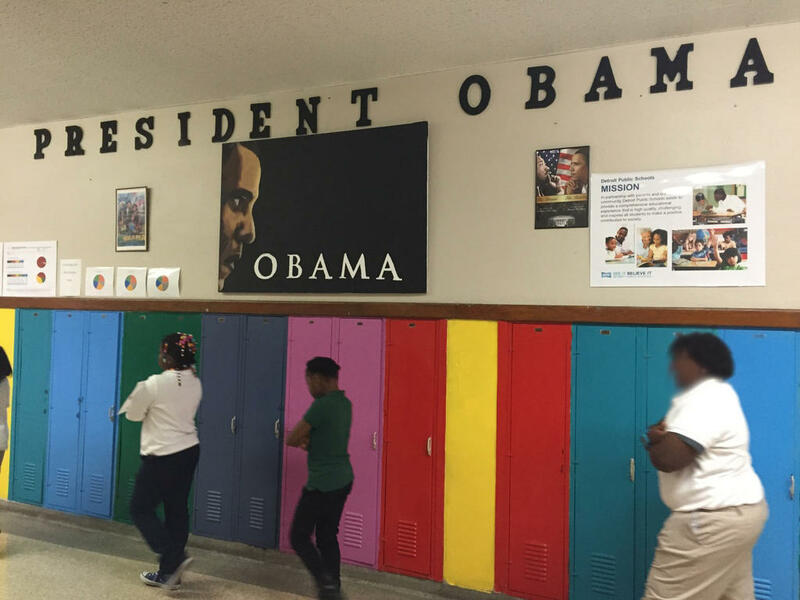 So, then you have K-2 which is also our age group that struggle the most academically and those are my largest classroom sizes,” said Noble principal, LaToyia Webb-Harris. She says there is only one teacher in each class, and no para-pro or teacher’s assistant to help out. Big class sizes are incredibly common in high-poverty urban schools like Noble. White, wealthier districts on average have smaller class sizes and more staff to help. Webb-Harris does have two school service assistants, each of whom spend an hour a day in each K-2 class. She had money in the budget for two more of those SSA positions, but couldn't find anyone willing to fill them. “That salary of a SSA is horrible, and what we ask of them is unfair. So until those salary adjustments are made, it’s going to be difficult to attract good staff members to do the work that’s needed in priority schools. HR couldn’t find anyone to fill those positions, unfortunately,” Webb-Harris said. She has three full-time teaching vacancies at her school, in large part, because the pay isn’t competitive. Detroit also has the worst student chronic absenteeism rate in the country. Webb-Harris said until that’s dealt with, you’re not going to see any real improvement in student achievement, because you can’t teach kids if they aren’t at school. Okay, so that's the bad news. But despite all that - student achievement is actually inching up. Webb-Harris said that’s due, in part, to a huge influx of cash she got from the U.S. Department of Education called a School Improvement Grant - or SIG. President Barack Obama’s administration gave out $7 billion in SIG money to try to try and turn around more than 1,800 low-performing schools across the country. Noble got the maximum amount a school can get: $6 million spread out over three years. In exchange, the school underwent a major turnaround. Tia Ervin is the parent liason at Noble Elementary-Middle School. Webb-Harris used the money to buy technology for the students, professional development for the staff, a data coach to track student growth and a parent liaison to help improve family involvement in the school. Tia Ervin is the school's first parent liaison and she said her goal is to get parents "more involved in their kids education. Get them to volunteer, peek their head into the classroom, get a relationship with the principal, help in the lunchroom," and other things. She said she'll consider it a success if she gets 100 parents involved in some way. Currently, only about a dozen have signed up to help. The school also hosts a weekly Family University night. It's run by Urban Leadership Development and includes free food, childcare and guided conversations about child development. The first week it was offered, only one parent showed up. By the end of December, that number had gone up to roughly ten. And according to Webb-Harris, all the changes do seem to be improving student achievement. Family University night at Noble Elementary-Middle School includes free food, childcare and guided conversations about child development. "Over the past 3 years, we have gone up. It’s been small increases, but they’re increases. We need to make larger impacts, which is our goal, because the increases have been so small," she said. "But when you start at zero percent proficient, and now you may have two percent or three percent, it’s a small number but it is climbing." Kerstin LeFloch is with the American Institutes of Research. She has studied school turnaround efforts, and SIG specifically, for a decade. "Being a chronically low-performing school is not a life sentence. Schools can improve. However that improvement is extremely fragile," she told us. LeFloch traveled across the country to study some of the schools that got federal grants from the SIG program. She found that, more often than not, the grants served as a kind of catalyst for the staff. They helped galvanize people and re-focus the school. But the SIG money goes away after three years, and therein lies the problem. "A lot of schools were not really well positioned to sustain some of the building blocks that they had put in place under SIG, and that’s really one of the saddest parts of SIG is that sustainability, even in schools that appeared to be on the right track so to speak, it was going to be hard to stay on that track," LeFloch said. A report was released this month that definitively said whether the SIG grants helped boost student achievement. Unfortunately, the answer is no, it didn't work. The U.S. government spent billions nationwide trying to turn around failing schools. We started this documentary talking about school closures, and how they impact neighborhoods. People don’t want their schools to close. School closures are personal and political. But when schools are closed, do kids benefit? James Kemple set out to answer that question. He’s the Executive Director of the Research Alliance for New York City Schools and a professor at New York University. New York City closed its fair share of schools, including 29 high schools that were chronically failing. Rather than shut them down all at once, the district phased out the schools, not letting new students enroll after a certain point. Kemple found the phase out had no impact - positive or negative - on the students already at the school. But it had a big, positive impact on the students who would’ve gone to one of those closed schools. 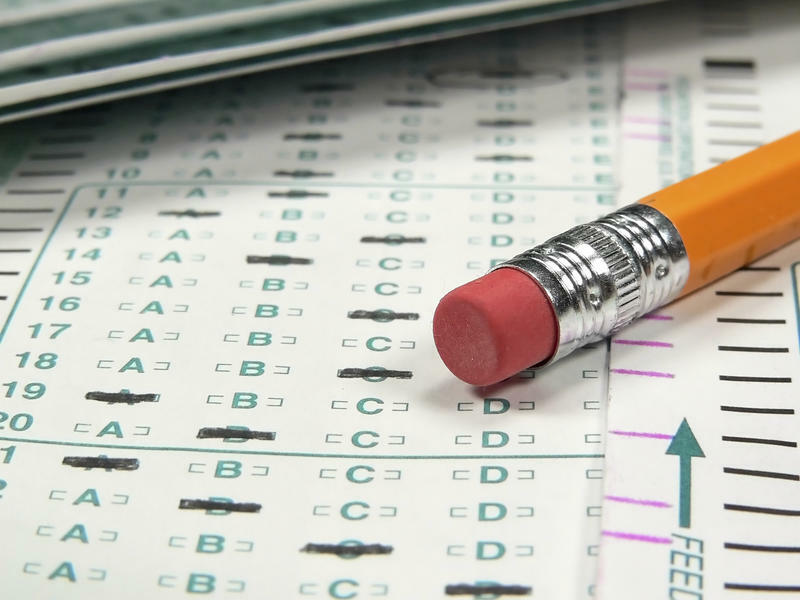 "We found that students who had to pick other options did end up in better schools in terms of things like graduation rates, attendance rates and test scores," Kemple said. He says students at their new high schools did better, but not great. Graduation rates for those students were still far below the citywide average. A study in Chicago found similar results. Chicago closed a bunch of failing schools all at once, and the study found that the majority of displaced kids moved on to better schools. Better schools, but not great schools. And that's the catch. Only the kids who went to significantly better schools improved academically, according to the data. The latest study out of Chicago shows that only one in five kids was able to snag a seat in one of those top-tier schools. A study in Michigan also saw some improvements for displaced students who went to better schools. But the same study found that kids at those better schools did worse with the influx of new kids. 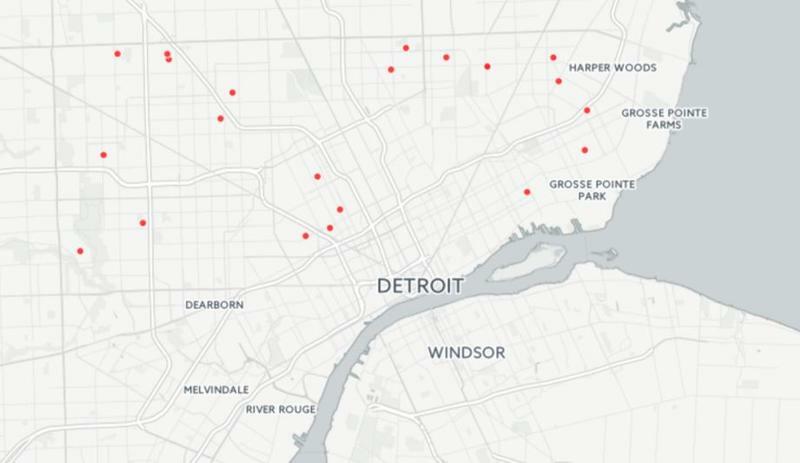 There's one more thing that happens when a school closes that's specific to Detroit: Every time DPS closes one of its schools, the district loses money and students. When they close a school they lose - on average - 30% of the students, according to one district official. Students move on to charters or leave the city altogether. State school reform officer, Natasha Baker, will have a big say in what happens next for students in Detroit and across Michigan. She's in charge of figuring out what to do with the state’s lowest-performing schools and the students who go there. "So in the entire state of Michigan there are about 100,000 kids in priority schools right now and this is across 76 different districts," Baker said. Baker said she can appreciate the passion and emotion folks have for their schools, but she says she also knows the only way she was able to climb out of poverty is because she got a good education. That’s what made the difference. There are currently 186 “priority schools” in Michigan. Schools like Noble that are in the bottom five percent and trying to turn things around. The vast majority of these schools serve poor, black and brown kids who live in struggling neighborhoods. It's a life Baker knows all too well. "This is something that I’ve prayed about for a long time as a child, that if I made it out I would serve my entire life, spend my entire life, helping other children get out so they can return. It’s the only way to change the world. So I’m excited about it. I understand the poverty conditions. I’ve lived that life, I have family members still living that life, but my goal is to make sure every kid, especially those born in poverty, have access to quality schools and that’s what the work is about," Baker said. Baker’s office just came out with a list of the worst schools in the state. Schools that continuously fail to show student improvements. Thirty-eight schools are on the list and are slated for possible closure. Nearly two-thirds of those are in Detroit. By law, Baker is allowed to close those schools, but a Republican state lawmaker wants to repeal that law, so it’s unclear at this point whether those closures will actually happen. Noble Elementary-Middle School is safe for now. It’s got one more year to bring up those test scores. But a big question remains: will it be able to do that? We now know closing a school and shipping kids off to another school doesn’t automatically improve outcomes for those kids. And school turnaround by itself doesn’t seem to work either. There's a pretty clear reason why our efforts to fix failing schools are falling short: poverty. The vast majority of kids in the lowest performing schools in the state are poor. And, as Principal LaToyia Webb-Harris will tell you, poverty doesn’t just go away because you close a school. "Because then you have the same conditions, the same learning obstacles, the same challenges that then go to that school," Webb-Harris said. 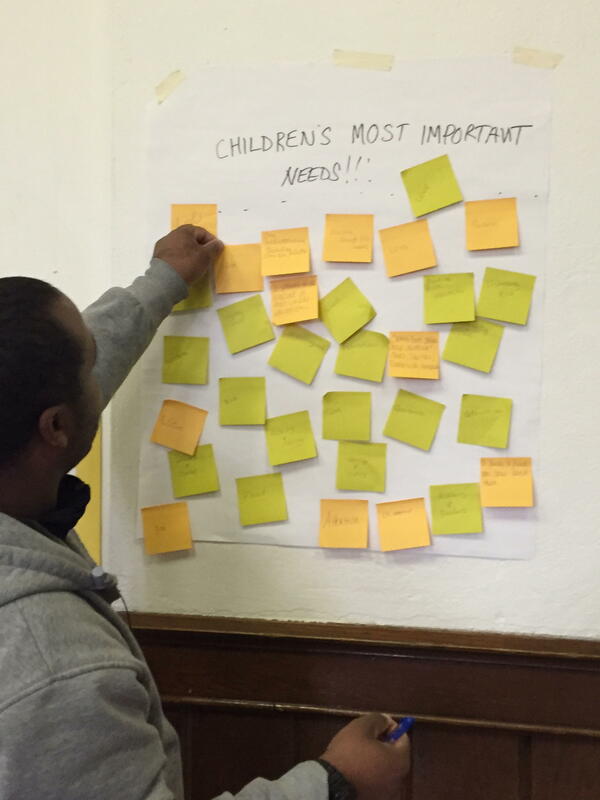 The thing is, we know what it takes to help kids in poverty do better in school. We know what works. Other states have done it. But Michigan has not. And until we decide to change that, we will continue to fail our kids. That won't just hurt students. It will hurt the state's future economic success. Detroit, in particular, is teetering on the edge of what many believe and hope to be a real renaissance for the city. "The city will not be able to do what they want to do if they don’t have schools for the new and upcoming Detroit families to send their children to. So what they decide to do with those low-achieving, community schools, we will have to wait and see," Webb-Harris said.